The annual great migration of Wildebeest, Zebra and plains game has started slightly earlier than expected. Thousands of animals have already entered the Maasai Mara plains. 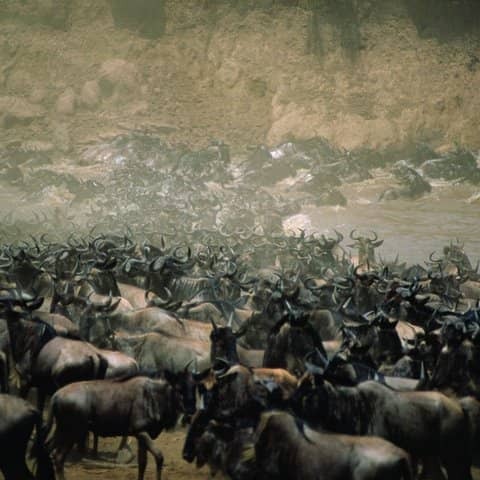 The annual Wildebeest Migration at the Maasai Mara is a natural cycle that replenishes and renews the grasslands of East Africa. Around 1.3 million Wildebeest gather in the Serengeti to give birth each June. They slowly mass into a huge single herd until the dry season withers their supply of fresh grass. The scent of rain to the North begins to draw the herd and soon the planet’s greatest animal migration is underway. This is one of the most remarkable attractions that makes Kenya one of the best wildlife destinations in the world. Kenya’s most popular attraction, the Maasai Mara, was awarded its title for its sheer volume and variety of game. Over the course of the migration, visitors to Kenya will have the opportunity to follow the progress of the herds and experience the full grassland cycle firsthand. The wildebeest stretch from one horizon to the other with zebras joining the herds. In the Maasai Mara, Africa’s largest concentrations of predators are drawn to this perfect opportunity for easy hunting. Lions are frequently seen attacking the herds. At the same time packs of Hyena freely weave throughout the herds, singling out and separating the young and the weak. The migration is the planet’s last great epic of life and death. Of all the calves born in the Serengeti, two out of three will never return from their first and most demanding migration. 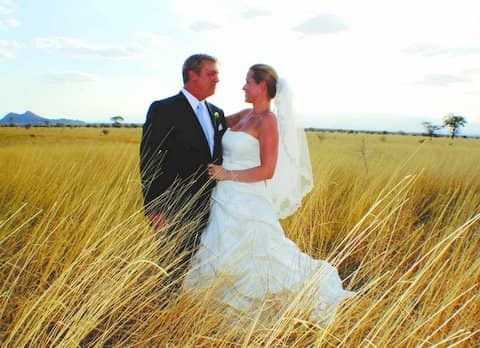 Kenya’s Maasai Mara reserve has a wide range of accommodation and travel options. There are luxury lodges, exclusive tented camps, campsites and more. The migration can be experienced on early morning game drives in customized vehicles, walking safaris with Maasai Warrior guides, horseback safaris in areas surrounding the Mara, or even from hot air Balloon safaris over the herds.